omid (mashhad, Iran) on 23 January 2019 in Miscellaneous and Portfolio. Ah, it's always the same, they are Dad who play with kites !! Une très belle prise de plage ! Fathers are usually busier with the kite than the children !! Indeed, a nice moment captured. Un instant superbement mis en image! A nice sense of freedom captured in this photo! 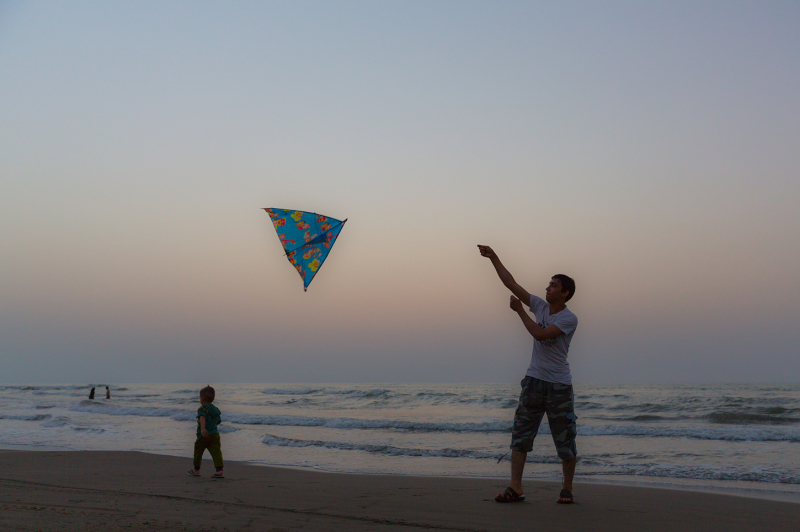 Like there's no thread between man and kite ;-) Lovely image! A beautiful scene on the beach! I like the flight of the kite and the child walking on the shore! This is adorable. They look like they are having a great time flying the kite!